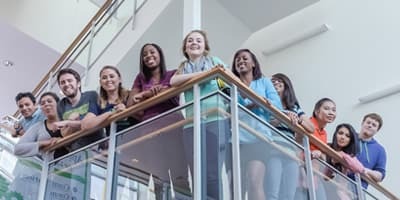 Each of the five departments in The College of Business at University of Houston-Clear Lake specializes in providing its students with practical applications to classroom theories. They accomplish this through a faculty packed with keen educators who also happen to be real-world business experts. We are very proud of our accreditation from the Association to Advance Collegiate Schools of Business (AACSB), as only 10 percent of business schools around the world receive this acclaim. And our industry-leading online degree programs give you the chance to match your education needs to your real-life schedule. See what we have to offer you! 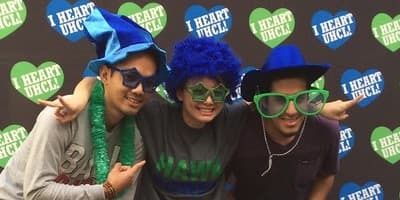 UHCL is one of the only two universities in Houston with separate accreditation for its business and accounting programs from Association to Advance Collegiate Schools of Business (AACSB) International Accreditation – the highest standard of achievement for business schools worldwide. 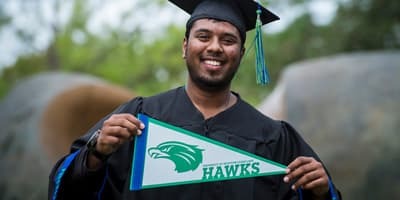 Thanks to the close proximity of our university to the Texas Medical Center, your UHCL degree puts you a step ahead of your peers in other institutions in terms of access to learning from top healthcare professionals, securing competitive internships, and obtaining employment in an industry-leading healthcare facility. Take charge of your career and the business you plan to run in the future with a management degree from UHCL. Whether you desire a career in government, retail, the law, human resources, consultant or entrepreneur, the professors in this department will train you to recognize and achieve success in yourself and others. Technology is at the forefront of how both private industry and government offices interact with and meets the needs of the public. An MIS degree from UHCL will help you climb the ranks as a leader with technological acumen and business expertise.